As 2016 comes to an end, Hannah & I wish you a wonderful holiday season and comfy winter ahead. We've had a crazy, chaotic year filled with adventures...closing our Junque Drawer Emporium in Emporia, KS & wishing Sister Sue a great retirement...opening Unwind/Junque Drawer Next Door bistro and welcoming the new owners, Jerry & MaryEllen Banks as they create Anna Mae's restaurant at 108 W. Cedar, opening Jan. 9, 2017 w/ great food, adult beverages & special events... and opening Mass St. Mercantile with Matt & Curt in Lawrence, KS this past November! We are grateful for all of the above adventures as we truly are following our arrows! 2017 will find Hannah and I at our Olathe's Junque Drawer Boutique, Lawrence's Mass St. Mercantile, operating our online store junquedrawerstudio.com, teaching & facilitating new junque art classes at both locations AND stepping into the creative world of design to manufacture wonderful apparel, gifts & such. May life's adventures in 2017 be fabulous for you & yours. Thank you for all your support, love and help! Registration & pre-payment is required! 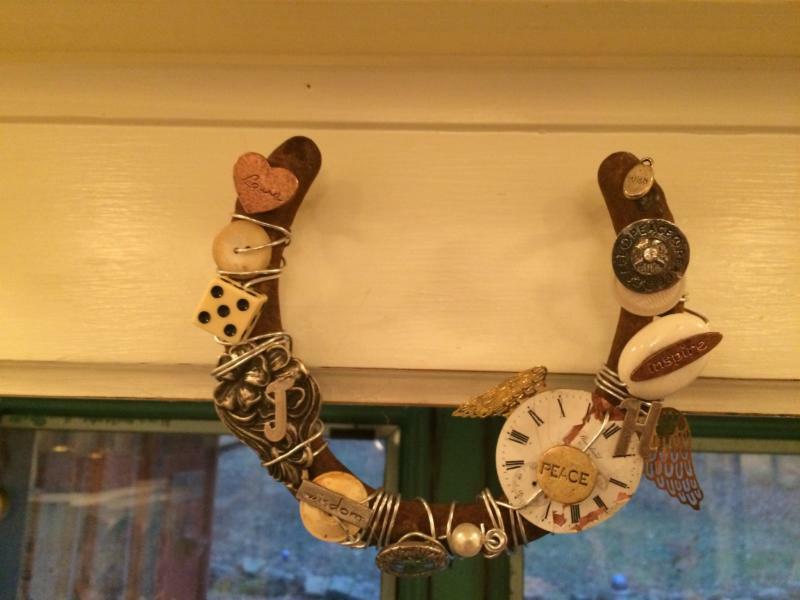 add charms, embellishments, vintage pieces, initials with twisted wire...to hang above your door for good luck to those who dwell! 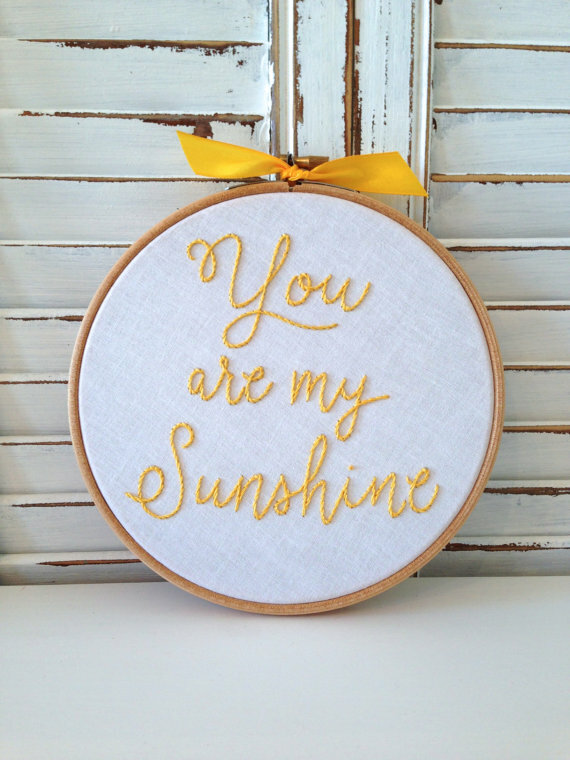 Using vintage fabric and colorful threads. 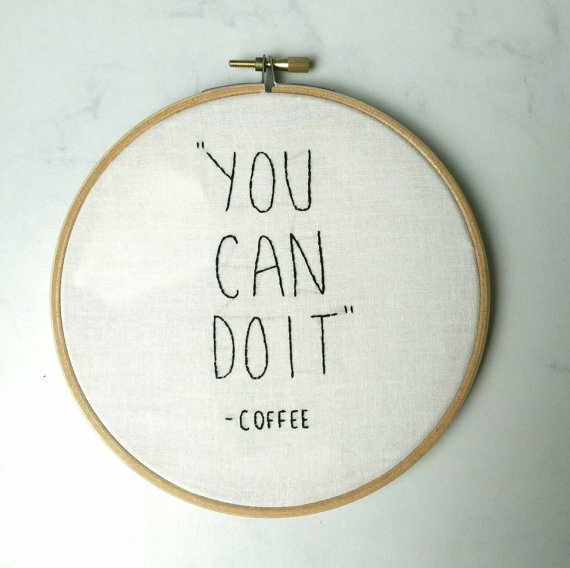 you will create one of your favorite phrases...sweet, simple or maybe snarky or ornery!... You choose! We will gather to do a used book exchange...bring one, get one. Participants will give a quick informal book talk about the book they brought. 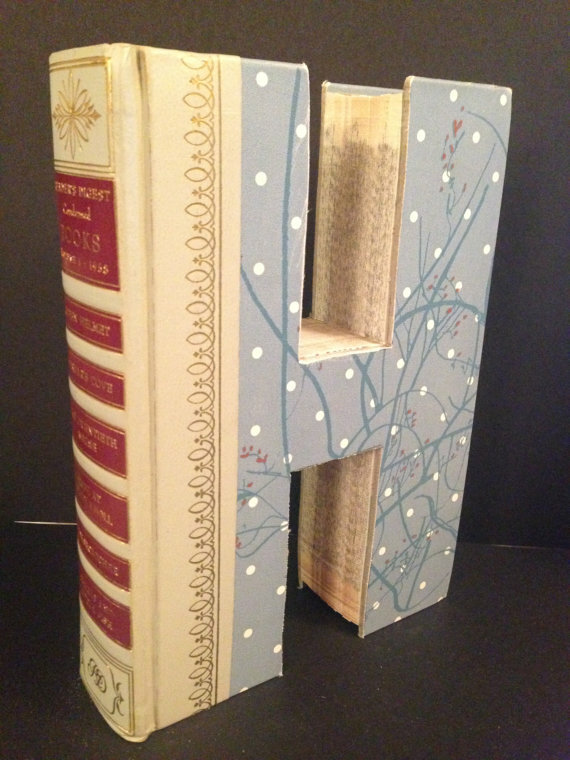 You'll receive a book letter of a chosen initial. When you register, let us know what letter you'd like! 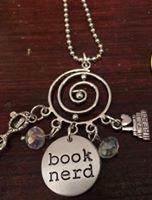 We'll create a book nerd charm necklace and 3 beaded book mark thongs! 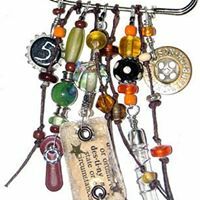 Beginning with a meaningful safety pin, identifing yourself as an emotionally safe person in reaching out to those who need help, we will "junque up" our pins with beads, charms, buttons and cool stuff! 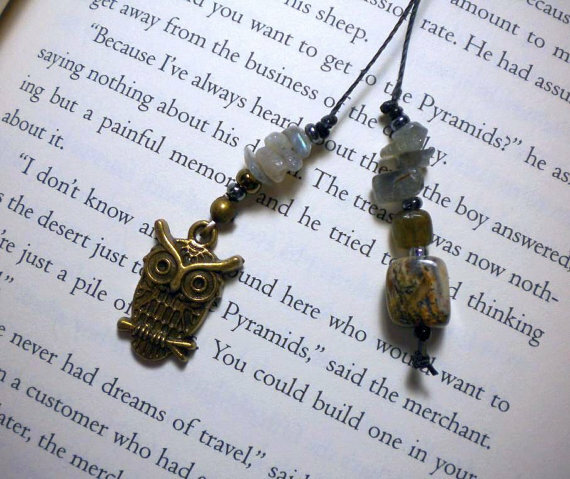 They can remain a pin or you can wear yours as a necklace or use as a keychain! $10 of the registration will be donated to a local women's shelter in our area! Come create & enjoy! Kickoff your holiday season with Junque Drawer and Junque Drawer Next Door!! Join us Wednesday, October 26 from 10am-8pm for "Well behaved women rarely make history" Girl's Day Out-- 20% off both stores, drinks, food and a wine craft class. Then, continue the fun Thursday, October 27- Saturday, October 29 from 10am-6pm and Sunday, October from 1pm-5pm to WANDER INTO WINTER! Our annual holiday house will feature complentary drinks and snacks, 10% off BOTH stores and a FREE gift with purchase! Graduation is RIGHT around the corner and Junque Drawer is the perfect stop to grab something for the graduate in your life. Moving from high school to college or college to the "real world" we got what you need!! Check our our graduation guide, most items are available in one of our brick and mortar stores or online. ...don't worry friends, we aren't moving!! Junque Drawer is going to be apart of another FABULOUS event put on by our friends at Chick Events. Join us Friday April 22 from 10a-6pm, Saturday April 23 from 10a-6pm and Sunday April 24 from 12pm-4pm! It is $5 entry, you can buy online or at the door!! If you head over to our Facebook page, we are doing a contest to enter to win a 4-pack of tickets!! If you haven't been to a Chick event, you are missing out!! See you all in April! Someone said the other day to me..."You are such a weirdo."... Jane, in junior high, would have been sad, put down & devastated. Jane, as an almost 59 year old, felt complimented, affirmed & energized. As I've journeyed thru the years, I am drawn to folks who are their authentic, genuine, weirdo selves. I want to always be that too. It is so cool to have stores (online & real-live ones) that I can create an atmosphere of weirdness, color, quirkiness and whatever I like. I wish for those who I meet, I know & will know in the days to come, to have the courage, the thirst, and the belief to embrace their differences, their passions & most of all, their weirdness. hello october! we are so happy to see you! First off, thank you for all of your support on the launch of our new website and online store. We have had some amazing feedback and have learned A LOT already.. Thanks for sticking with us! October, November and December are a very exciting time for Junque Drawer! From fall scarves and harvest candles to our new "pop-up" Holiday show (keep an eye out for more details--in store and online...) We can't wait to share this Holiday season with you! An online store?...are you $%*& kidding me? I don't have time to hang out with my friends, putter around the KC area to places I've never been, keep the house cleaned, finish the 2 books I swore I'd finish when I retired, lose that extra 80 pounds I'm hauling around, or get organized (that one is just a goner)????? Well, we did it. Hannah and I decided to give it a go. Sister Sue said she'd help out by shipping products from the back of the Emporia store and ta-da...we're doing it. Thanks to the incredible Deb for helping us build the site. She is an extraordinary artist and phenomenal business woman who helped us launch this idea. Without Hannah & I being perfectionistic, it doesn't look award-winning...some of our photos aren't the best, but they are what they are and they are going on this damned online store page for now. You'll most likely find typos, but it is what it is. If you have questions about our site, our store, our methods of madness, call me at 913.261.8183 or email at junquedrawerstudio@live.com. Follow our Facebook pages (Junque Drawer Boutique AND Junque Drawer Emporium) and if you see stuff we post that you want to purchase, call or email us and we'll get back to you. 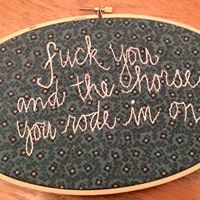 We'll be adding LOTS of handmade creations in the next couple months and I'd love to talk to you about any custom work you have thought up in your head. Am going to try and blog a bit, so stay tuned!